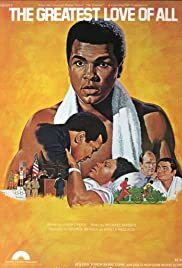 Stars: Christopher Plummer, Frank Langella, Ed Begley Jr.
Muhammad Ali stars as himself in this dramatized version of his life story up to the late 1970s. It includes his Olympic triumphs as Cassius Clay, his conversion to Islam, his refusal of the Army draft, and the legal battle after being stripped of his World Title. Cassius Clay Aged 18: How Cassius Took Rome, by Cassius Clay, Jr.: To make America the Greatest is my goal, So I beat the Russian and I beat the Pole. And for the United States was a medal of gold. Ali reading from a SCRIPT?? LET HIM TALK!!!! 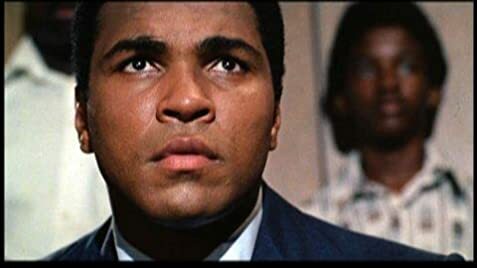 The saddest thing about this film is that the script simply didn't have a feel for Ali's poetry or style...what results is a low-energy, plodding plot with remarkably bad switches from fight scenes to scripted bits. A good movie to break in your fast forward button from fight scene to fight scene. Also look for a forty-something Ferdie Pacheco played by a 70+ year-old actor...remarkable.